William Cowe and Sons, Manufacturing Confectioners, Grocers and Provision Merchants, Bridge Street. William Cowe & Sons, Wholesale Department, Victoria Building, Love Lane. Known locally as “Cockle Cowe’s”, both Cowe’s retail shop in Bridge Street and the wholesale shop in Love Lane were owned and run by brothers William and Francis Cowe. The business closed in 2010, bringing to an end an era of over 200 years of trading in Berwick. 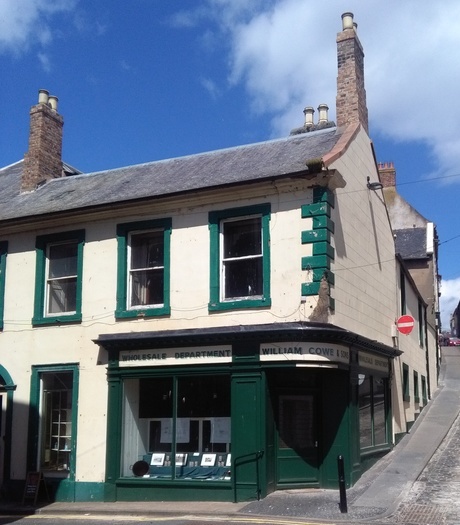 For visitors to the town and locals alike, Cowe’s shop in Bridge Street was not only a place to buy groceries and provisions, but also the place to buy the popular mint sweets known as ‘Berwick Cockles’ which were manufactured on the premises. William Cowe died in 2014, aged 73 years. His brother Francis Cowe, a well-known and highly respected local historian, died in 2016, aged 84 years. The business was set up by their great-grandfather William Cowe in 1801, at 106 (current number) Marygate. The former Cowe buildings in Bridge Street, West Street and Love Lane are of significant importance in historical terms. 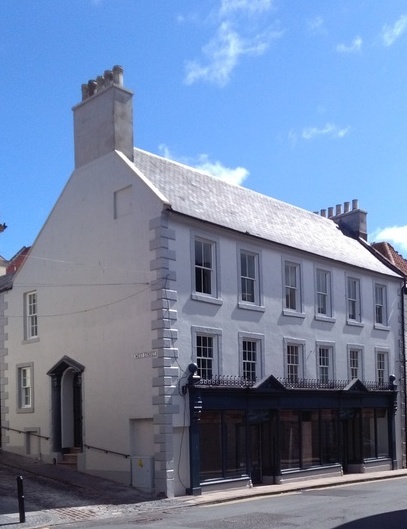 An 18-month comprehensive refurbishment of the retail shop in Bridge Street, and the rebuilding of that property at the rear in West Street, was completed in early 2017. The wholesale business premises in Love Lane extending up West Street underwent external structural repairs over the same period. 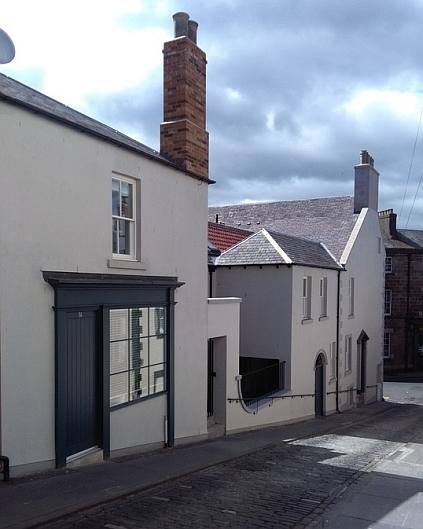 The works for both buildings were funded by the Berwick Townscape Heritage Initiative (THI), Arch, and Northumberland County Council. A detailed 136-page report, by Dr Adam Menuge, on the history and significance of the Cowe buildings and the immediate area around them, was produced in 2015 by English Heritage. It includes illustrations, plans, Guild records, and histories of ownership. Banner: William Cowe and Sons retail shop in Bridge Street, after the comprehensive refurbishment, and the newly restored shop front. © Kevin Graham 2017.